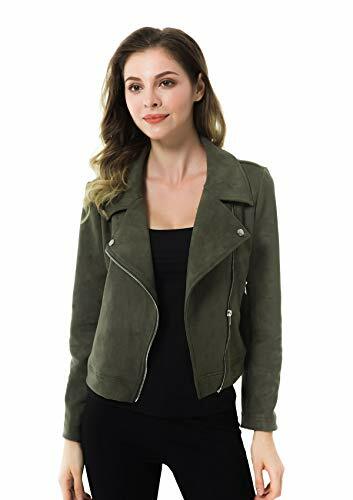 A long sleeved jacket featuring a short pattern design,big special collar and two side pockets.Style with bodycon skirts, pants, best suit for casual, outwear. Made of faux suede, lignt and comfortable wear. Basic motorcycle jacket, long sleeves coats. Moto biker jacket:Slim,Short style,suitable for daily work,casual wear,Suit for Spring,Fall,Winter. Model is 5'9"/174 cm, bust 33.5"/85 cm, waist 23.6"/60 cm, hips 35.4"/90 cm, wearing a regular Gap size S.
If you have any questions about this product by Apperloth A, contact us by completing and submitting the form below. If you are looking for a specif part number, please include it with your message.